STRATFORD, Connecticut -- A metal ramp linking a Metro-North train to a platform in Connecticut collapsed with passengers on it, injuring at least one person. Witnesses say a woman appeared to have injured her hand as the temporary walkway at the Stratford station fell just before 1 p.m. Saturday. A man on the ramp did not appear to be hurt. The metal walkway allowed passengers to leave the northbound train and cross tracks that were under repair. The New Haven-bound train was using the middle tracks. The woman appeared shaken, and workers helped her walk up the part of the ramp that remained attached to the platform. 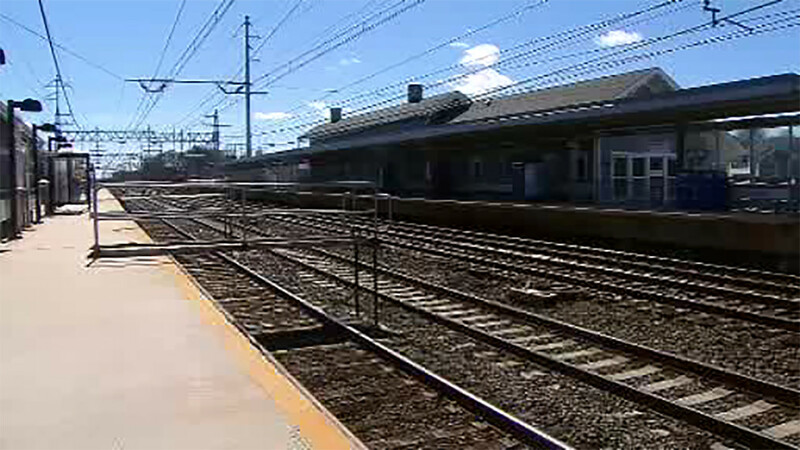 A Metro-North spokesman said he was not aware of the accident, but would have details later.